AA Action Fence Company in Gray GA began operating in 1994 by Doug and Marie Kohlmayer with one truck and a dream. We started off small, and we remain a small, family-owned and operated company. Doug Kohlmayer passed his legacy down to his son Chad Kohlmayer in 2013. Chad along with his family and employees continue to make AA Action Fence a success. With well over 24+ years experience in professional installation, you can trust that we will provide the service and expertise that you can count on! We take A LOT of pride in our work, and we thrive on seeing the satisfaction on our customers faces every time we finish a project! We specialize in all aspects of fencing whether it be chain link fencing, wood fence, horse fence, or aluminum fencing, installing and maintaining gate operators, etc. We love serving the Middle Georgia community and all surrounding counties! Residential or Commercial, we would love to have your business! We give free estimates at your convenience! We also understand that our customers are hard working individuals as well, so if you are only available on weekends, don't hesitate to call! We can make arrangements for a weekend appointment as well! 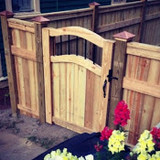 A good fence design can add value and security to your home or commercial property as well as improving its appearance. Offering a variety of products; we can customize your fence to your exact specifications. We specialize in beautiful wood privacy fences, but also offer professional installation of chain link, aluminum, vinyl, and farm field fences. Proudly delivering the finest quality of workmanship and materials to our customers. Call us today for your free estimate. Satisfaction guaranteed! Attention to detail and quality without breaking the bank. New installs for fencing and decking. We do repairs too. Need a screened in porch, pergola or arbor, we can get it done. Best rates with free estimates We provide affordable services without skimping on quality. Honesty and attention to detail are the priority. We will work with any budget to get your project done right. We have competitive prices and offer discounts. We enjoy the opportunity to meet new people and help them with any project, big or small. We love being able to serve the people in our area. Since 2006, Byron Fence Company has been making customers happy all over Middle Georgia including Warner Robins, Perry, Byron, Macon, and surrounding areas. We’ve grown each and every year thanks to our faithful customers that need fence installation. 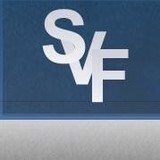 Nearly all our business is from referrals, and for good reason. We install quality fences—right. That may sound simple, but it’s also increasingly rare in this day and time. If you need a fence or gate—no matter what type—call us. You will be happy you did. Jefferson Fence specializes in Fence Repair & Installation, Deck Repair & Installation, Gate Repair & Installation, Pergolas, and Pet Housing. We can build you a fence out of any material! Also we have a great deck building division that can help you with a new deck for your backyard. 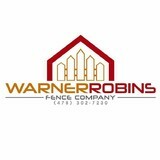 Roberts Fence Co. is a full service fence supply and installation company. We specialize in horse and cattle fencing and have over eighteen years experience in the fence industry. As you browse through our web site, you will see that we use the finest materials available to design and build the custom fence you need with the type of material you desire. We provide high quality fence and painting services across the Southeast United States including Georgia, Florida, North Carolina, South Carolina, Tennessee, Alabama, and Mississippi. Your Milledgeville, GA fence installation and repair professional will work with you to create your ideal fence. 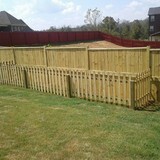 Find a fence contractor in Milledgeville, GA on Houzz. 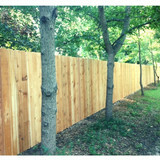 Narrow your search in the Professionals section of the website to Milledgeville, GA fence contractors. You can also look through Milledgeville, GA photos to find examples of fencing and gates that you like, then contact the professional who worked on them.